(1) A person shall not be deprived of his life intentionally save right to life. in execution of the sentence of a court in respect of a criminal offence under the law of Dominica of which he has been convicted. (d) in order to prevent the commission by that person of a criminal offence, or if he dies as the result of a lawful act of war.S. 2(1) and (2), 1978 Constitution of Dominica. No person shall be subjected to torture or to inhuman or degrading punishment or other treatment.S. 5, 1978 Constitution of Dominica. The Commonwealth of Dominica Police Force is responsible for maintaining the law and order of the country. It is headed by a Commissioner of Police. 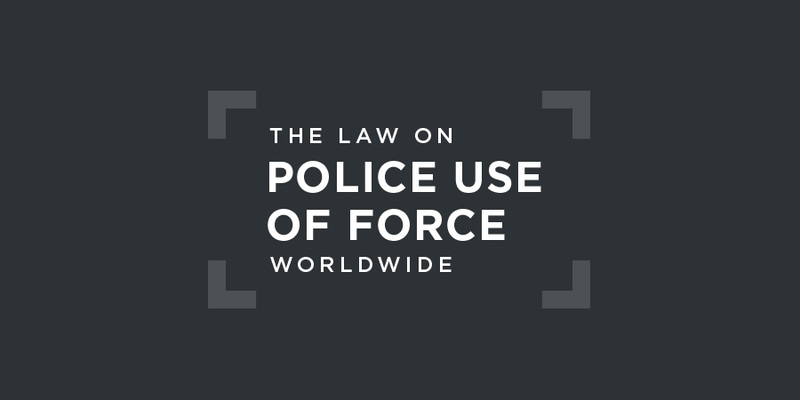 The use of force by the police is governed by the 1873 Criminal Law and Procedure Act (as amended most recently by a 1992 Act). According to Section 13(1) of this Act, "a person may use force as is reasonable in the circumstances in the prevention of crime, or in effecting or assisting in the lawful arrest of offenders or suspected offenders or of persons unlawfully at large". but arms shall not be used unless the officer has reasonable grounds to believe that he cannot otherwise prevent the escape or rescue, or effect the arrest, as the case may be, and that he has given warning that he is about to use arms and the warning is unheeded, unless apprehension of immediate danger to himself or any other person does not follow for such warning to be given. Section 33 provides that "[n]o officer in dealing with prisoners shall use force unnecessarily and, when the application of force to a prisoner is necessary, no more force than is necessary shall be used."S. 33(1), 1877 Prisons Act (as amended).It is further prohibited to an officer to "deliberately act in a manner calculated to provoke a prisoner".S. 33(2), 1877 Prisons Act (as amended). There is no independent civilian body for oversight of the Dominican Police Force. There have been no Concluding Observations on Dominica in recent years by the Human Rights Committee. Dominica has not recognised the jurisdiction of the Inter-American Court of Human Rights. Judgments have, though, been handed down on police use of force by the Eastern Caribbean Supreme Court. In all the circumstances the extent of the force used on the claimant cannot be reasonable within the meaning of section 13 (1) of the Criminal Procedure Act. Further the court does not accept the defendants’ submission that the actions were necessary to subdue the claimant to prevent him from obstructing the search and to allow the officers to make an arrest. ... In any event there were four officers as against a single claimant. The defendants are therefore liable for assault and battery and the claimant is entitled to damages.Paragraph 38 of the judgment. This case concerned police use of firearms.Curvin Colaire v. Attorney General of the Commonwealth of Dominica and others  DOMHCV 2014/0079, at: https://www.eccourts.org/curvin-colaire-v-attorney-general-of-commonwealth-of-dominca-et-al/.On the morning of 14 November 2013, the claimant left his house and started walking towards his parent’s home holding a cutlass (a short sword with a slightly curved blade) in his hand. Having reached the general area of his parent’s home he leaned against an exposed concrete column. He then saw the second defendant, one of two police officers in civilian clothing, walking towards his house. This officer said, "look him" and then turned to the claimant and said, "you I come for". The second defendant fired the M16 rifle he was holding striking the claimant in his stomach. The claimant suffered a right kidney maceration, perforation of the ascending colon, contusion and perforation of the gall bladder, perforation of the small bowel, and a lesion in the lumbar vertebrae that provoked right leg plogia. The Eastern Caribbean Supreme Court made a significant award for damages. The claimant alleges that a weapon such the M16 assault rifle is not a suitable weapon for a police officer to use when executing his duties in such an instance. The claimant avers that the use of the M16 as unjustifiable as it is a weapon usually utilized during periods akin to warlike circumstances. The weapon inflicts grievous injury of a type not associated with firearms normally utilized by members of the Commonwealth of Dominica Police Force on the type of duty that the 2nd defendant was exercising on that particular day. The court is also asked to consider the circumstances of terror and fear caused to the claimant having been transported by the same officers who shot him in a police-marked van.Paragraph 22 of the judgment. From all accounts the rifle used was a high calibre weapon used mostly in warlike circumstances and riots. There is no evidence of provocation or aggression on the part of the claimant neither was there any evidence that the officers’ lives were endangered to justify the use of such force. Such atrocious behaviour is unacceptable from a police officer and should be deterred.Paragraph 26 of the judgment.